The funds will finance a programme which will help 2,500 people a day for the next two months. The focus will be on making sure people have enough to eat, are prepared for a cold winter and have access to hygiene facilities. Thousands of refugees and migrants have been entering Croatia from Serbia since last week after Hungary fenced off its Serbian border and closed the previous route for migrants to go to northern Europe. “Temperatures are dropping – especially at night – so helping the refugees cope with the coming winter is becoming an increasing priority for Caritas,” says Suzana Borko, deputy director of Caritas Croatia. Many people arrive in Croatia inadequately dressed for the cold as they leave their countries with few belongings. Another focus is making sure the refugees have access to warm showers and mothers with babies have a place where they can breastfeed. 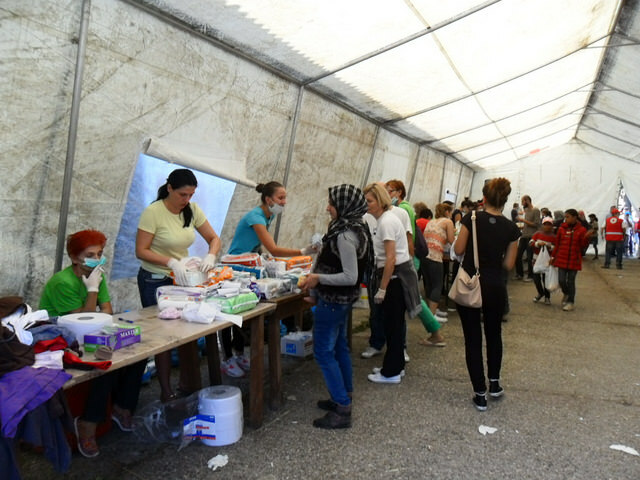 Caritas Croatia will be working with refugees and migrants in the dioceses of Đakovo-Osijek, Sisak, Varaždin and Požega and is expanding its programmes at national and diocesan level.